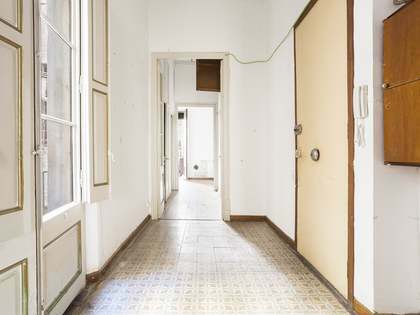 This spacious apartment is located on the first floor of a modernist building and enjoys an excellent location in the historic centre of Barcelona. 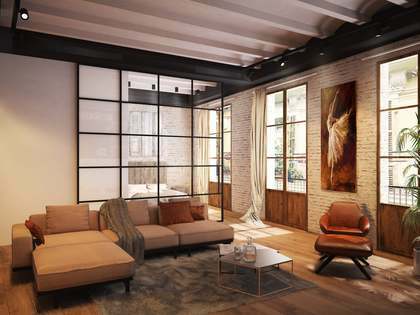 The property stands out for its high quality renovation; original period features such as the doors, windows, beams and the painted ceilings have been maintained. We enter the apartment into a fully equipped kitchen. To the left, the apartment offers a spacious living-dining room with 2 windows that flood the room with natural light and offer, from the balcony, beautiful views of the Basilica of Santa María del Pi. A guest toilet completes the day area. The sleeping area benefits from a living room with a fireplace and access to a small patio plus 2 bedrooms, both with ensuite bathrooms. The apartment has beautiful wooden floors and is equipped with air conditioning, heating and double glazed windows to ensure comfort throughout the year. Thre is also an alarm system. 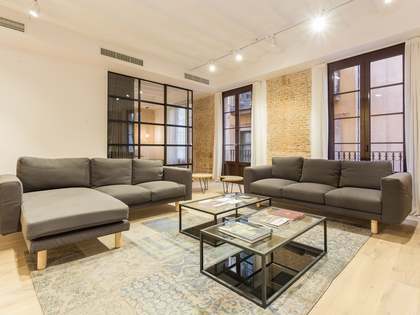 Contact us to visit this magnificent renovated apartment in the heart of Barcelona. 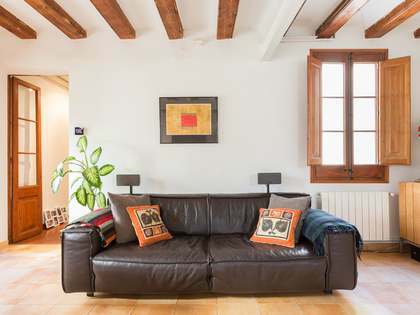 The apartment is located on Plaça del Pi, where the famous Basilica of Santa Maria del Pi is located, and only 100 metres from the Ramblas, one of the most beautiful and famous streets of Barcelona. 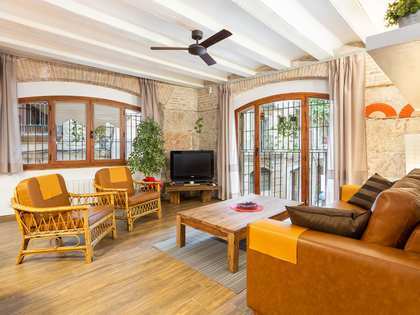 It is located just a couple of streets away from Portaferrissa and Portal de l'Àngel, two lively shopping areas, and close to Plaça de Catalunya, which enjoys excellent connection with the rest of the city and its surroundings, by bus, metro and train.